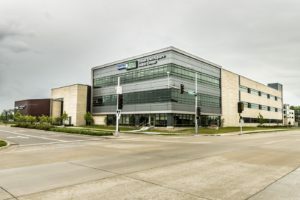 The Medical College of Wisconsin is accredited by the Higher Learning Commission of the North Central Association of Colleges and Schools (HLC) and by the Liaison Committee on Medical Education (LCME). 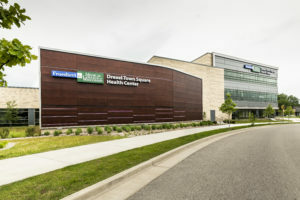 It is one of only two medical schools in Wisconsin, along with the University of Wisconsin School of Medicine and Public Health in Madison, and the only private one. 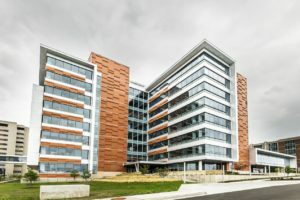 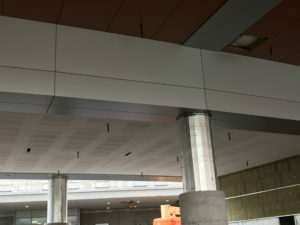 John W. McDougall Company partnered with Epsteine Uhen Architects on this project, and used 10,000 square feet of champagne bronze mica & gray velvet mica coil coated Larson ACM panels and column covers. 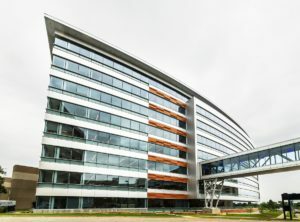 As a dedicated heart hospital with 112 inpatient beds and 45 pre- and post-procedural rooms for patients undergoing outpatient heart procedures, Sentara Heart Hospital’s advanced setting was built from the ground up for superior heart care and continues to be the choice for consumers in the mid-atlantic region and beyond. 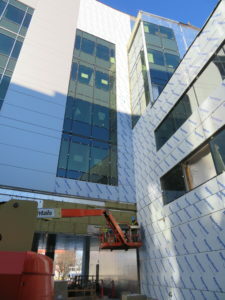 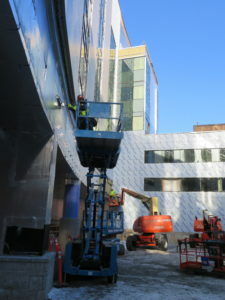 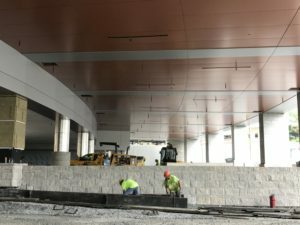 Contractor: Nittany Building Specialties, Inc.